Art Carnival at SOMA Artists Studios! 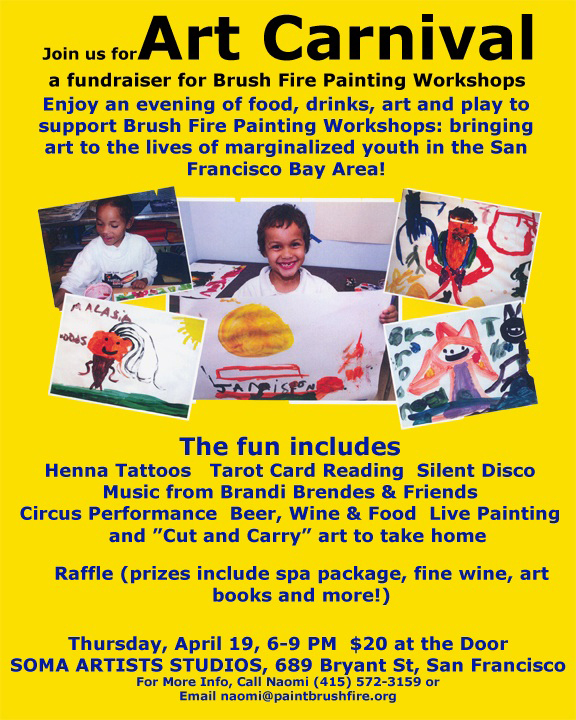 Come to our fabulous family fun fundraiser for Brush Fire Workshops, bring art to marginalized youth throughout the Bay Area! Enjoy a night of Art and Play, Food and Drinks, in support of Brush Fire Painting Workshops bringing art to marginalized youth in the San Francisco Bay Area. Enter Raffle for great prizes!